EACH DAY, thousands of anglers record their catches on social media. 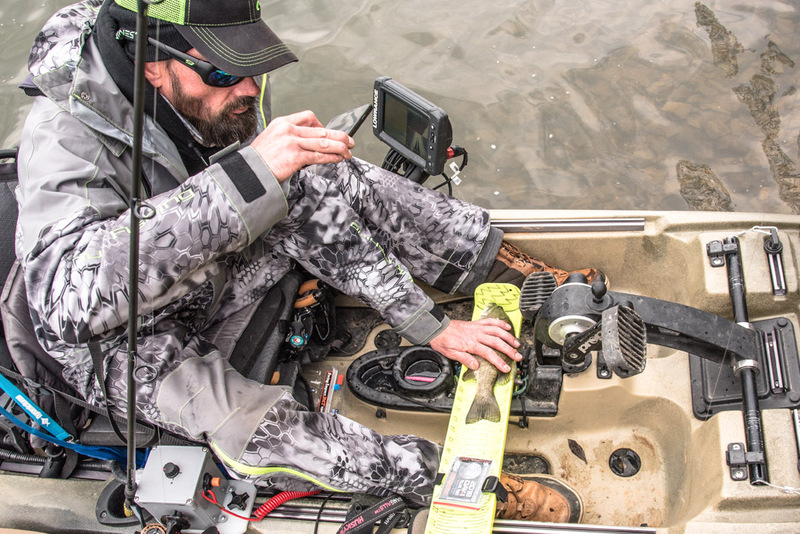 Smartphone applications like fishing logs and catch-photo-release tournaments record valuable data about the fish, species and environmental factors. In addition to helping anglers catch more fish, all this information helps conservation groups and fisheries managers monitor the health and distribution of fish stocks. More recently, app developers have added garbage to the list of trophies their users can catch. Smartphone apps allow anglers to log the size and type of fish, weather conditions, lunar phase and location of a catch. Users track patterns and locations to improve their chances of future success. With some apps, data is also shared with conservation groups and even government agencies to monitor fisheries and environmental conditions. This push for conservation encourages tournaments to switch to a catch-photograph-release (CPR) format. Participants catch a fish, photograph it on a measuring board, release the fish and use the smartphone app to upload the photo to tournament officials. 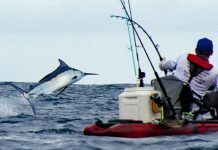 Mike Christopher, managing director of iAngler Tournament, says, “A big culture change has taken place, but for the health of the fisheries, it’s a good thing.” And, he adds, technology makes this easier. Some states are facing pressure to make CPR tournaments mandatory. Red tide and fish kills in Florida have increased calls for conservation. Christopher says, “We’ve informally compared the size of sea trout caught last year with the size of winning fish this year and we see a gap in 17-to 22-inch fish.” Florida officials are recommending a switch to CPR-only tournaments for snook and redfish. As more tournament anglers log their catches online, app developers are looking for creative ways to encourage conservation. Some tournaments have added a trash division to the tournament winnings. 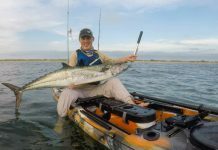 iAngler worked with Coastal Conservation Association Florida to develop a function rewarding anglers who take a photo of a five-gallon bucket of trash. Christopher says, “We also included an option to geo-tag large items like refrigerators and abandoned boats to be picked up after the tournament.” The function will be available to all users in 2019. Partnering with conservation organizations to log trash and fish is the primary initiative of Fishbrain. Working with the U.S. 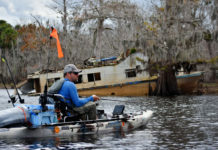 Fish and Wildlife Service and the Florida Fish and Wildlife Conservation Commission, Fishbrain users help track federally recognized threatened and endangered species. Lisa Kennedy, Fishbrain’s chief marketing officer says the data helps conservationists determine habitats where species flourish, predict reasons for decline and protect native wildlife for future generations. Even an absence of data helps to highlight a problem. Kennedy points to an example, “An area in Florida reported no catches.” Matching data with information from surrounding areas, biologists at Angler Active Foundation determined an entire population of spotted sea trout had moved. “They found habitat had been destroyed and fish had moved north, away from the fishery entirely,” Kennedy says. Fishbrain has also harnessed their power to clean up the water. On July 4, 2018, over 32,800 people launched from 575 locations to collect trash. Participants used the hashtag #trashoftheday and tagged the area using Fishbrain’s geo-location feature. Utah, Colorado, Lake Corpus Christi in Texas, and Florida’s Halifax River had the highest participation. “California was the most active state, with the most trash collected and logged, especially in Harbor Lake, Los Angeles,” Kennedy reported.